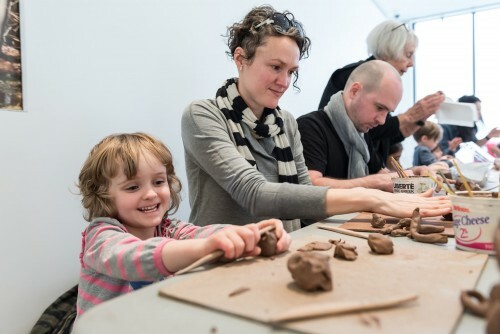 This Family Day, join us in the Community Clay Studio for a fun mosaic workshop led by ceramist and mosaic artist Valentina Guevara. Valentina comes from Mexico and has had a long career in Montreal in mosaic design for large architectural installations. She now resides in Toronto, focusing on her ceramic art. Join us on this special day to learn from Valentina how to make your own beautiful mosaic designs using different found materials. Admission is free for visitors 18 and under every day! * *Children under 12 years of age must be accompanied by an adult and each accompanying adult must purchase a general admission ticket. Children cannot be left unattended at any time.